The Town of Swansboro engaged Stewart to update the Future Land Use element of its CAMA Land Use Plan. Stewart is analyzing and overlaying existing conditions including patterns of land use, transportation, and natural resources to prepare a plan that addresses future land use suitability for this small coastal community. The Plan will comply with the Coastal Area Management Act (CAMA) and provide a framework for land use decisions and the investment of public resources. The community engagement included an enthusiastic steering committee, stakeholder interviews, a user-friendly website, online survey, open-house style workshops, and going into the community to attend events and distribute information about the project. Estimated adoption of the Plan is January 2019. 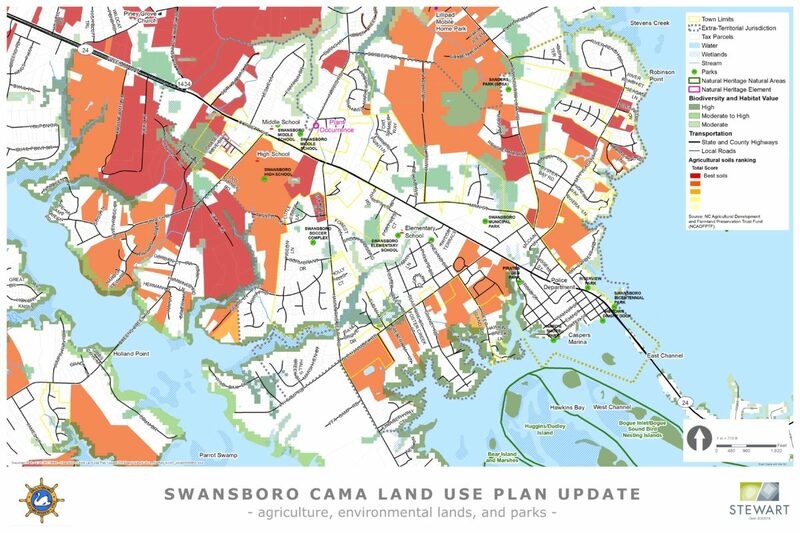 The Swansboro CAMA Land Use Plan Update is the first CAMA Land Use Plan for Stewart. The goal of the project is to balance community growth and corridor development with preservation of wetlands and natural areas.